At Dozier Crane and Dozier Worldwide, we only work with the most trusted and dedicated shipping companies. Over the past 40 years, the Dozier family of crane companies has developed solid relationships with DLG, Daily Express, GHS, and ATS. These carriers have served Dozier Crane and Dozier Worldwide and our domestic and international customers extremely well. Our transport partners offer all types of transportation: Flatbed, Stepdeck, Lowboy, Heavy Haul, International Shipping, container shipping and more. Be it land freight or ocean freight, we can provide crane transportation quotes for you, or you may contact any of our partner freight companies directly. Dozier Crane and Dozier Worldwide are located within 8 miles of the port of Savannah! 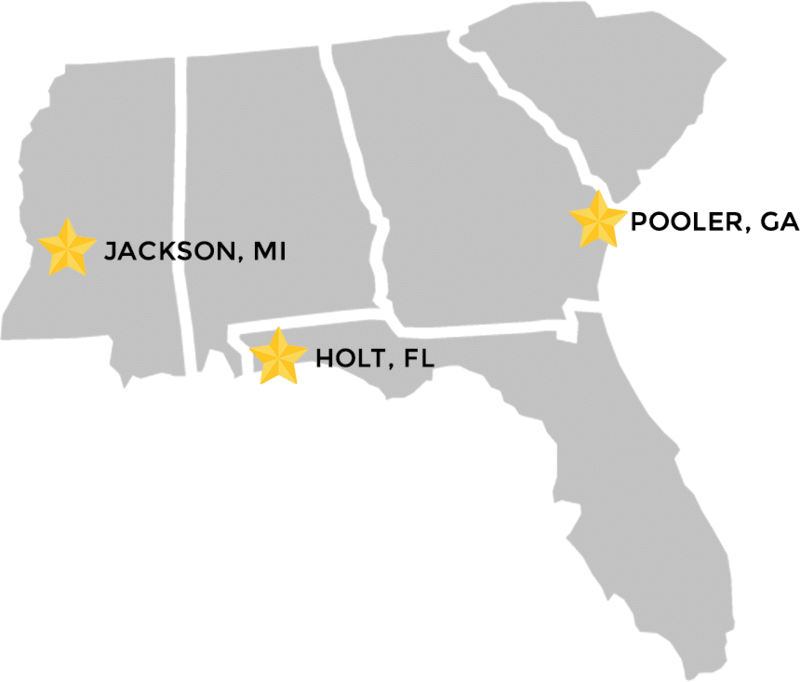 We are within 100 – 250 miles of major ports in Jacksonville, FL, Charleston, SC and Wilmington, NC. Buy or rent your next crane from the Dozier family of companies and save subsantially on your freight costs!